Does this pictures show pure bliss or what?!? 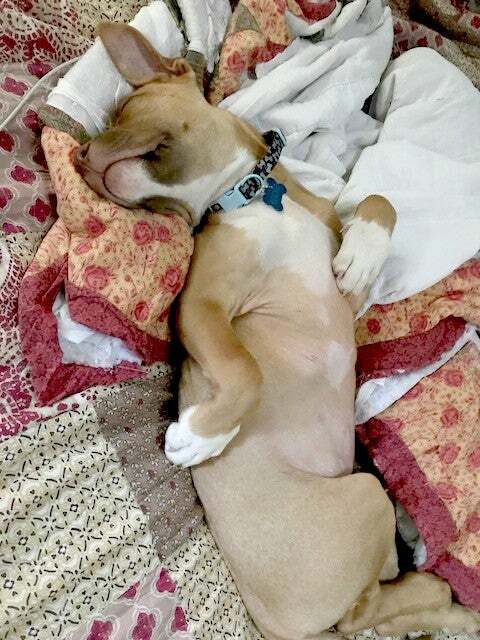 We received this picture from one of our clients, thanking us for the peace and quiet she got that night because her adorable puppy Rocko was so tuckered out after playing all day here at Hope Crossing! It's such a wonderful way to get exercise and socialization fulfilled for your fur baby - we love all our Day Care regulars! We're excited for another week filled with all the crazy and wonderful pups playing to exhaustion!